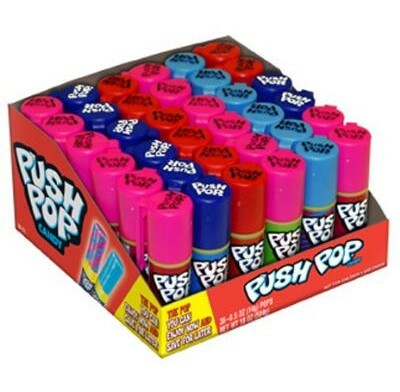 Push Pops from Topps, the unique lollipop that can be easily saved to be enjoyed later. These fun candy treats come in assorted fruit flavors, including Cherry, Strawberry, Watermelon, Blue Raspberry and Berry Blast. 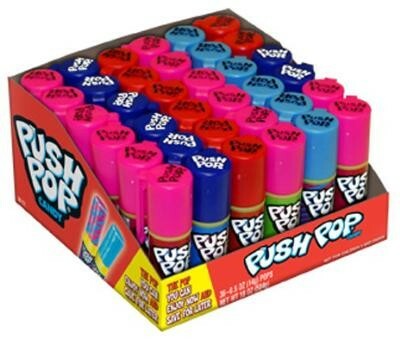 24 individual push pops per box.